In this, the first Voices from the North interview of 2010, Golden Globe winner Amanda McBroom shares her love and passion for the music and presence of Jacques Brel. 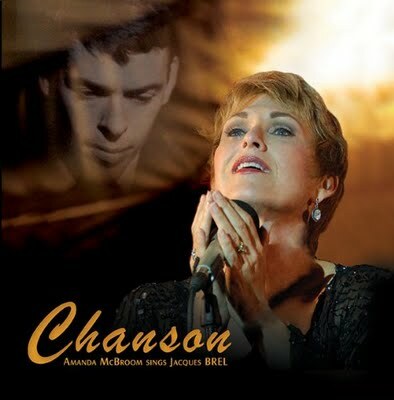 Five songs from Chanson, Amanda’s latest CD, recorded in 2009, are featured including I Loved, Song for Old Lovers, Ca Va, Ne Me Quitte Pas (you may know this one as Don’t Leave Me) and If We Only Have Love. We probe gently into the life of Jacques Brel (France’s premier balladeer of the 60s) including his last sailing journey which brought him to the South Pacific. He was buried beside Paul Gauguin in the Marquesas Islands in French Polynesia. This is a lovely, flowing, musical interview. Chanson was skilfully arranged by Stefan Oberhaff and Michele Brourman. They played many of the instruments featured in the recording but significant contributions have been made by other musicians including flugelhorn by Oscar winning Mark Isham. Amanda’s voice and Isham’s horn on If We Only Have Love combine to produce a song of haunting quality. Overall, this is music not to be missed. It travels straight to the heart and captures the essence of Brel. For more on the salvage of Askoy II, the 60 foot steel hulled yacht sailed by Jacques Brel to the South Pacific visit here. And for the interview I did with author and sailor, Lyndsay Wright, who pointed this out to me click here. For my 2009 interview with Amanda McBroom visit here.